Previous PostSunrise Walk with Surprises. Both Good and Bad.Next PostSilent Sunday: Flying License. And Other Fishy Stuff. 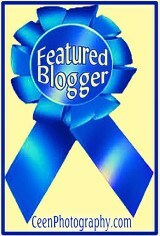 Even your title had me chuckling! Love your eagle eye that caught mama and papa on their adjacent perches. So sweet! So nice to see everyone is enjoying themselves. 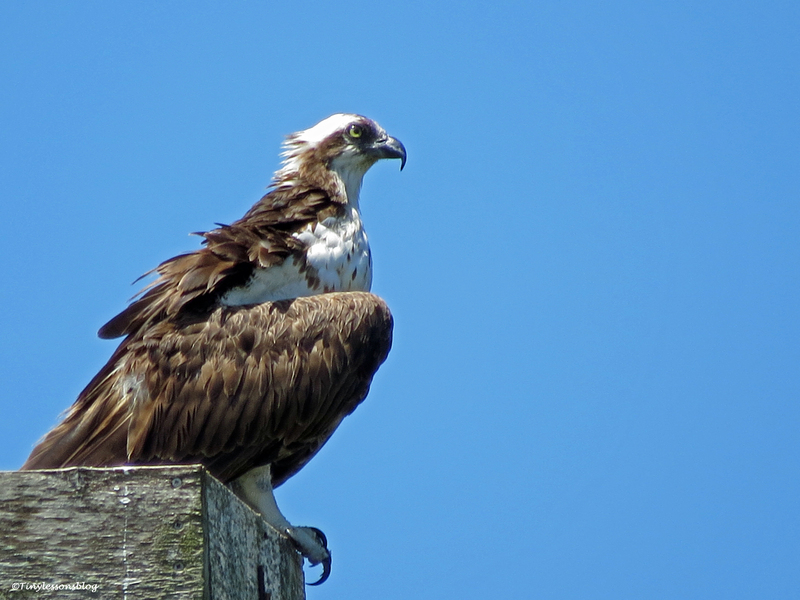 What about the other osprey that were around earlier? Not the babies but the other male one? Have you seen it? Steve I think? 🙂 I’m terrible with names. I love this calm resettling taking place Tiny. Nature is cyclical … And we can learn so much from these guys! Letting go. Going with the flow. 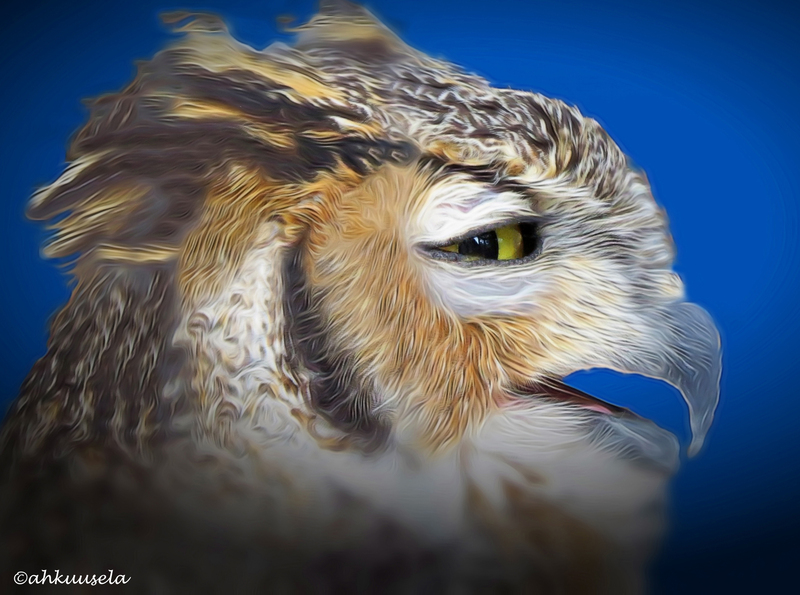 Paying attention and defending when needed … But for the most part just getting on with the ebb and flow of life. It’s beautiful to watch these birds, so much intuition in play! And indeed lots to learn from them in the ways you describe. Right now I can feel they’re just happy with life and take one day at the time – the cycle continues 🙂 Thanks for your beautiful comment, Val. Thanks for the update, Helen! Hope you have a great weekend! Happy you came by Kathy. Have a good one, you too! Great shots again Tiny, Mama and Papa may need some counselling ‘post empty nest syndrome ‘to know how to get on with their lives,, though they do have each other, and that is what really matters. Saddly in our world when two people live only for their children, there is nothing left og their relationship afterwards which often causes divorse post empty nest. Maybe they will go through the same routine again next year and raise some more, and love doing it. Bringing new life into the world is a highlight of life. Thank you for your update, and the wonderful photos. Do your Ospreys stay in your area all year long, and don’t migrate south when winter comes? Our Ospreys are non-migratory and stay here in the wider region all year long, but it’s quite unusual that they stay in the immediate nesting area together after the nesting season. 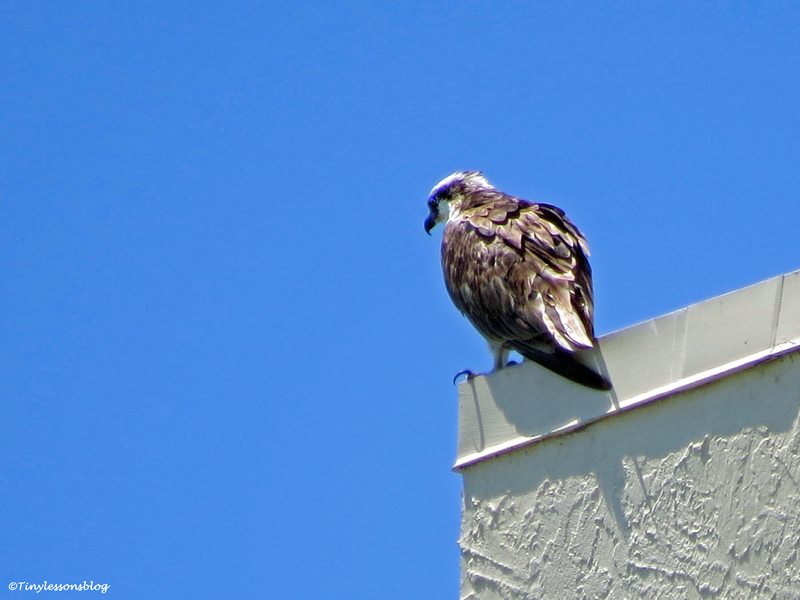 Research on non-migratory osprey is quite scanty…so I’m learning as I observe them. Oh such great shots, love the jay! Thanks Cindy! 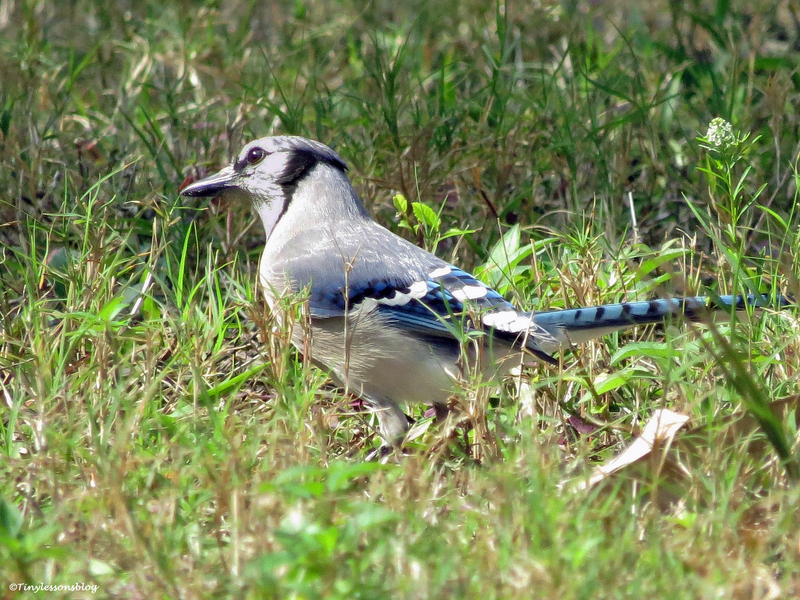 I have a soft spot for Jays…ever since I saw the two BJs (in the bird sanctuary) who didn’t know they were birds. Another great collection of shots, Tiny ~ thanks for highlighting the nest and preferred perches in the top one. Wonderful photos – I love the Mayor! Thanks Julie. The Mayor is very distinguished. Last year he was always there looking after the residents, but he’s been away for quite a while. 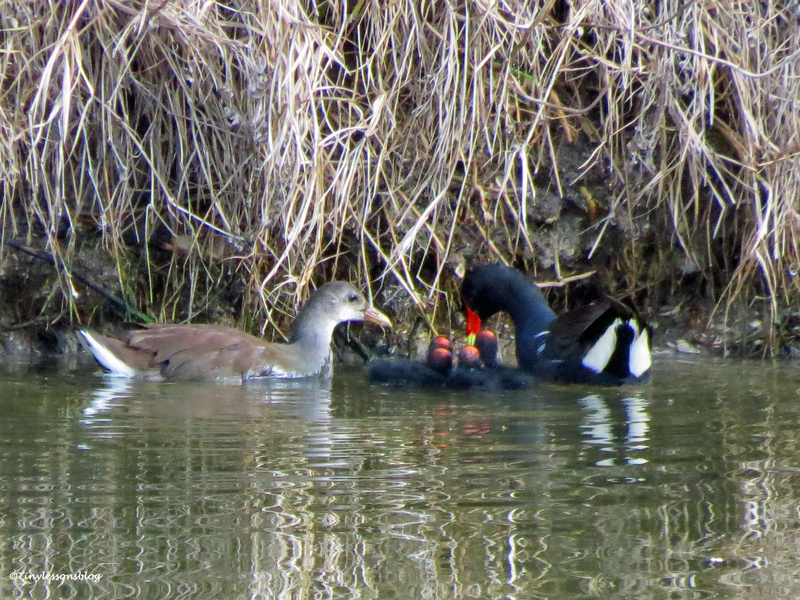 Only the bad-mannered youngster was there during the spring. Is it possible that Mama and Papa might have a second family this season? No, they only have one brood per year. So now they can rest and take care of themselves for 5-6 months, gain back their normal weight and get in shape for the next season starting with Stanley’s proposal early January. I hope to see both of them around often in the meantime. We should all be proposed to once a year! Have a great weekend yourself and thanks particularly for the photograph showing all the sites of your pictures, very clever. I thought giving an overview of the places I’m talking about might be helpful. The little white rings actually marked where they were, and the inserted small pictures showed them sitting there. Happy you liked it, Susan. Have a good one. He’s powerful, but not aggressive. That’s why he was elected, walks the talk. Great and entertaining report Tiny, terrific illustrations to go with too! Happy weekend to you and the neighborhood, Tiny. Glad to see Mama Sandy catching a full meal! It’s a delight to see that Mama takes care of herself now. Have a great weekend too! I’m so very pleased to hear that the family is doing well! I’ve been to “my” swamp today, and it looks like “my” nesting families are empty nesters too. The birds in general, appear to be enjoying that empty nest respite. How fun to see “The Mayor” of the marsh! 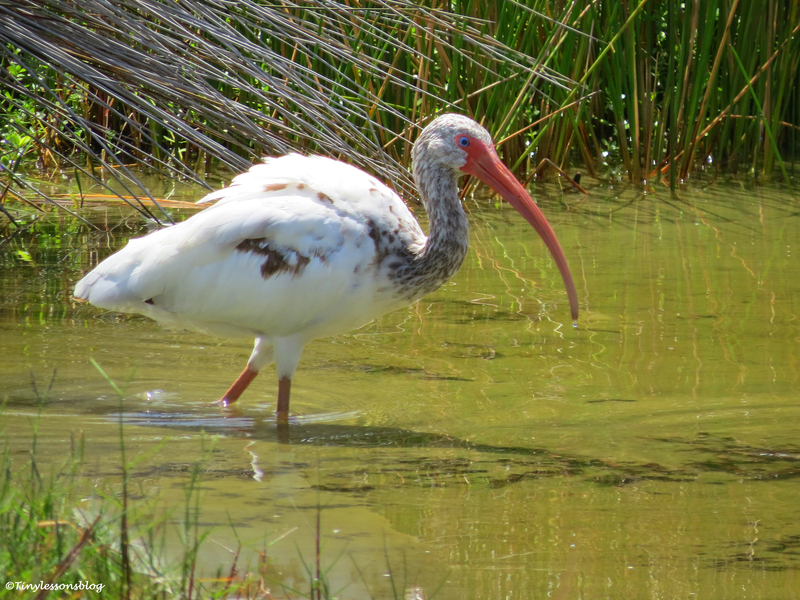 And that young ibis is just too cute. 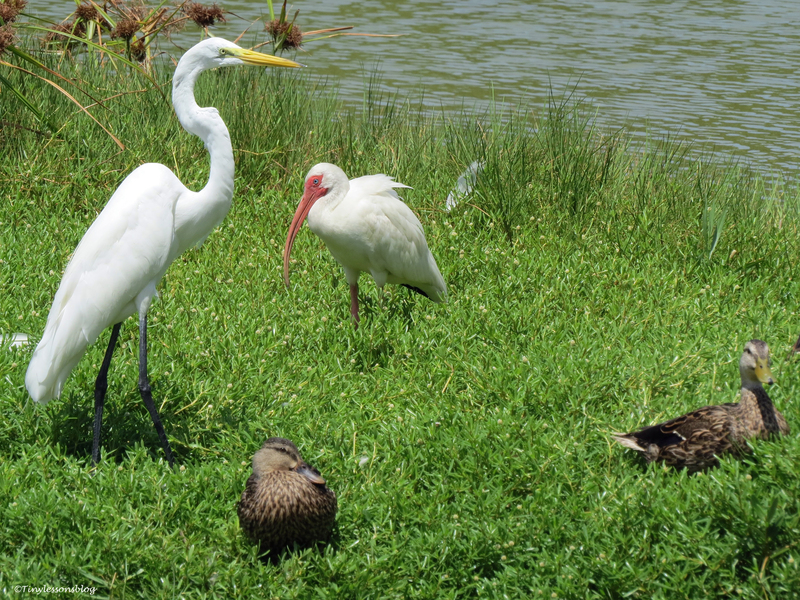 I really loved the photo of the egret, ibis and ducks together. Humans could sure take a cue from the bird world in how to get along. 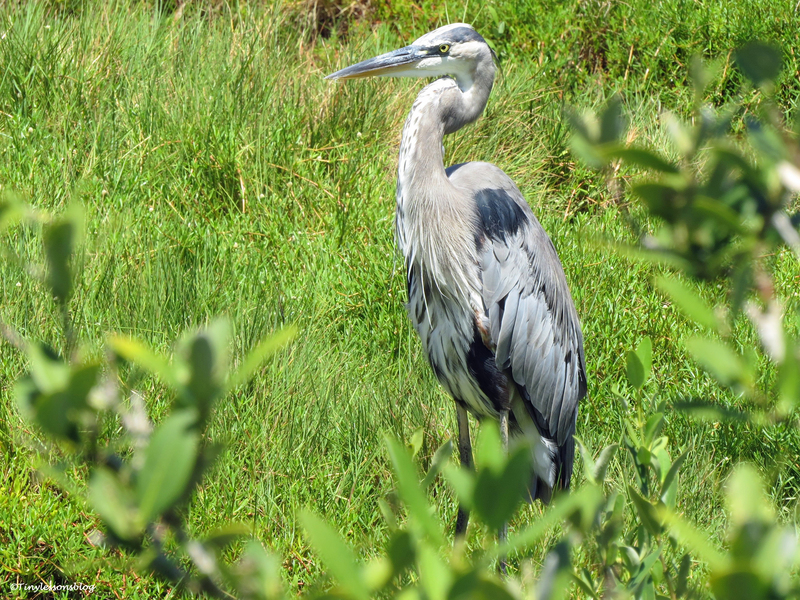 Hope you are having a blessed weekend, Helen, and that it hasn’t been too scorching hot in the salt marsh. Happy you like the “Mayor”. He’s been there for a couple of years, but was gone for a few months, maybe nesting on a “bird island” in the bay. I can see it with my new binoculars, but its too far to get photos. The birds really get along so well…I’ve had a similar thought about us humans. It is hot here now, but I’m hoping to get up really early tomorrow to take a long walk again 🙂 Have a blessed Sunday, you too, Amy. Well I wish my sons would take a lesson from your osprey family and move back closer to home! 🙂 I love the community you live in and it certainly looks like the Mayor is doing a good job ruling the roost! Fantastic images, always. Thanks Susan. I know…my son moved back to the state last year, now that we’re here permanently. A bit of a drive, but so much better now. I hope you’ll see them do the same. We’re happy to live here on the island, tucked away but still close to everything. 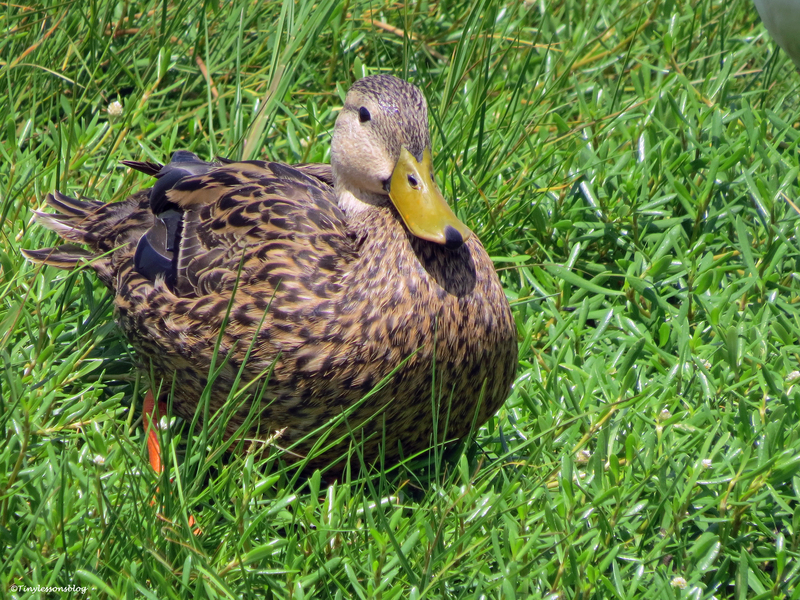 And the birds love it when they can find food in the marsh and in the sea waters on both sides of the park. So sweet to see that Mr and Mrs Osprey are still in love. 🙂 Beautiful photos, Helen. I loved the one of your GBH. Oh my goodness, those baby moorhens are so adorable ! Where are you? I’m guessing the west coast of Florida. Yes, you guessed correctly…just now recovering from 21 straight days of rain 🙂 I agreement the baby moorhens are too cute…saw a very small one yesterday.